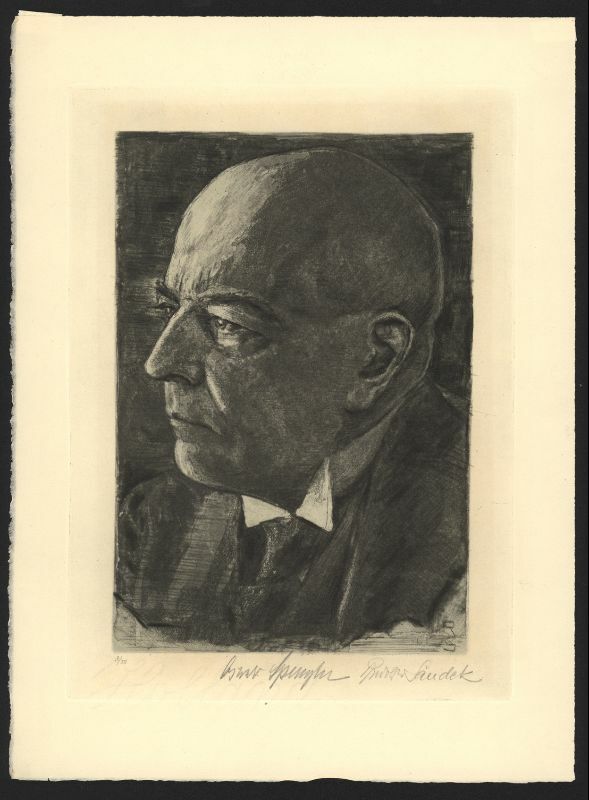 Oswald Spengler is by now well-known as one of the major thinkers of the German Conservative Revolution of the early 20th Century. In fact, he is frequently cited as having been one of the most determining intellectual influences on German Conservatism of the interwar period – along with Arthur Moeller van den Bruck and Ernst Jünger – to the point where his cultural pessimist philosophy is seen to be representative of Revolutionary Conservative views in general (although in reality most Revolutionary Conservatives held more optimistic views). A Culture is born in the moment when a great soul awakens out of the proto-spirituality of ever-childish humanity, and detaches itself, a form from the formless, a bounded and mortal thing from the boundless and enduring. It blooms on the soil of an exactly-definable landscape, to which plant-wise it remains bound. It dies when the soul has actualized the full sum of its possibilities in the shape of peoples, languages, dogmas, arts, states, sciences, and reverts into the proto-soul. There is an important distinction in this theory between Kultur (“Culture”) and Zivilisation (“Civilization”). Kultur refers to the beginning phase of a High Culture which is marked by rural life, religiosity, vitality, will-to-power, and ascendant instincts, while Zivilisation refers to the later phase which is marked by urbanization, irreligion, purely rational intellect, mechanized life, and decadence. Although he acknowledged other High Cultures, Spengler focused particularly on three High Cultures which he distinguished and made comparisons between: the Magian, the Classical (Greco-Roman), and the present Western High Culture. He held the view that the West, which was in its later Zivilisation phase, would soon enter a final imperialistic and “Caesarist” stage – a stage which, according to Spengler, marks the final flash before the end of a High Culture. Perhaps Spengler’s most important contribution to the Conservative Revolution, however, was his theory of “Prussian Socialism,” which formed the basis of his view that conservatives and socialists should unite. In his work he argued that the Prussian character, which was the German character par excellence, was essentially socialist. For Spengler, true socialism was primarily a matter of ethics rather than economics. This ethical, Prussian socialism meant the development and practice of work ethic, discipline, obedience, a sense of duty to the greater good and the state, self-sacrifice, and the possibility of attaining any rank by talent. Prussian socialism was differentiated from Marxism and liberalism. Marxism was not true socialism because it was materialistic and based on class conflict, which stood in contrast with the Prussian ethics of the state. Also in contrast to Prussian socialism was liberalism and capitalism, which negated the idea of duty, practiced a “piracy principle,” and created the rule of money. 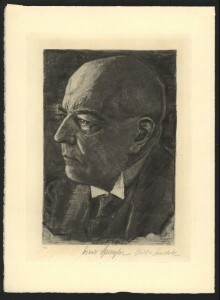 Oswald Spengler’s theories of predictable culture cycles, of the separation between Kultur and Zivilisation, of the Western High Culture as being in a state of decline, and of a non-Marxist form of socialism, have all received a great deal of attention in early 20th century Germany, and there is no doubt that they had influenced Right-wing thought at the time. However, it is often forgotten just how divergent the views of many Revolutionary Conservatives were from Spengler’s, even if they did study and draw from his theories, just as an overemphasis on Spenglerian theory in the Conservative Revolution has led many scholars to overlook the variety of other important influences on the German Right. Ironically, those who were influenced the most by Spengler – not only the German Revolutionary Conservatives, but also later the Traditionalists and the New Rightists – have mixed appreciation with critique. It is this reality which needs to be emphasized: the majority of Conservative intellectuals who have appreciated Spengler have simultaneously delivered the very significant message that Spengler’s philosophy needs to be viewed critically, and that as a whole it is not acceptable. The most important critique of Spengler among the Revolutionary Conservative intellectuals was that made by Arthur Moeller van den Bruck. Moeller agreed with certain basic ideas in Spengler’s work, including the division between Kultur and Zivilisation, with the idea of the decline of the Western Culture, and with his concept of socialism, which Moeller had already expressed in an earlier and somewhat different form in Der Preussische Stil (“The Prussian Style,” 1916). However, Moeller resolutely rejected Spengler’s deterministic and fatalistic view of history, as well as the notion of destined culture cycles. Moeller asserted that history was essentially unpredictable and unfixed: “There is always a beginning. . . . History is the story of that which is not calculated.” Furthermore, he argued that history should not be seen as a “circle” (in Spengler’s manner) but rather a “spiral,” and a nation in decline could actually reverse its decline if certain psychological changes and events could take place within it. The most radical contradiction with Spengler made by Moeller van den Bruck was the rejection of Spengler’s cultural morphology, since Moeller believed that Germany could not even be classified as part of the “West,” but rather that it represented a distinct culture in its own right, one which even had more in common in spirit with Russia than with the “West,” and which was destined to rise while France and England fell. However, we must note here that the notion that Germany is non-Western was not unique to Moeller, for Werner Sombart, Edgar Julius Jung, and Othmar Spann have all argued that Germans belonged to a very different cultural type from that of the Western nations, especially from the culture of the Anglo-Saxon world. For these authors, Germany represented a culture which was more oriented towards community, spirituality, and heroism, while the modern “West” was more oriented towards individualism, materialism, and capitalistic ethics. They further argued that any presence of Western characteristics in modern Germany was due to a recent poisoning of German culture by the West which the German people had a duty to overcome through sociocultural revolution. Another key intellectual of the German Conservative Revolution, Hans Freyer, also presented a critical analysis of Spenglerian philosophy. Due to his view that that there is no certain and determined progress in history, Freyer agreed with Spengler’s rejection of the linear view of progress. Freyer’s philosophy of culture also emphasized cultural particularism and the disparity between peoples and cultures, which was why he agreed with Spengler in terms of the basic conception of cultures possessing a vital center and with the idea of each culture marking a particular kind of human being. Being a proponent of a community-oriented state socialism, Freyer found Spengler’s anti-individualist “Prussian socialism” to be agreeable. Throughout his works, Freyer had also discussed many of the same themes as Spengler – including the integrative function of war, hierarchies in society, the challenges of technological developments, cultural form and unity – but in a distinct manner oriented towards social theory. Yet another important Conservative critique of Spengler was made by the Italian Perennial Traditionalist philosopher Julius Evola, who was himself influenced by the Conservative Revolution but developed a very distinct line of thought. In his The Path of Cinnabar, Evola showed appreciation for Spengler’s philosophy, particularly in regards to the criticism of the modern rationalist and mechanized Zivilisation of the “West” and with the complete rejection of the idea of progress. Some scholars, such as H. T. Hansen, stress the influence of Spengler’s thought on Evola’s thought, but it is important to remember that Evola’s cultural views differed significantly from Spengler’s due to Evola’s focus on what he viewed as the shifting role of a metaphysical Perennial Tradition across history as opposed to historically determined cultures. Like their Revolutionary Conservative precursors, New Rightists reject any fatalist and determinist notion of history, and do not believe that any people is doomed to inevitable decline; “Decadence is therefore not an inescapable phenomenon, as Spengler wrongly thought,” wrote Pierre Krebs, echoing the thoughts of other authors. While the New Rightists accept Spengler’s idea of Western decline, they have posed Europe and the West as two antagonistic entities. According to this new cultural philosophy, the genuine European culture is represented by numerous traditions rooted in the most ancient European cultures, and must be posed as incompatible with the modern “West,” which is the cultural emanation of early modern liberalism, egalitarianism, and individualism. The New Right may agree with Spengler that the “West” is undergoing decline, “but this original pessimism does not overshadow the purpose of the New Right: The West has encountered the ultimate phase of decadence, consequently we must definitively break with the Western civilization and recover the memory of a Europe liberated from the egalitarianisms . . .” Thus, from the Identitarian perspective, the “West” is identified as a globalist and universalist entity which had harmed the identities of European and non-European peoples alike. In the same way that Revolutionary Conservatives had called for Germans to assert the rights and identity of their people in their time period, New Rightists call for the overcoming of the liberal, cosmopolitan Western Civilization to reassert the more profound cultural and spiritual identity of Europeans, based on the “regeneration of history” and a reference to their multi-form and multi-millennial heritage. An example of such an assertion regarding cultural pessimism can be seen in “Part III. Three Major Expressions of Neo-Conservatism” in Klemens von Klemperer, Germany’s New Conservatism: Its History and Dilemma in the Twentieth Century (Princeton: Princeton University Press, 1968). To supplement our short summary of Spenglerian philosophy, we would like to note that one the best overviews of Spengler’s philosophy in English is Stephen M. Borthwick, “Historian of the Future: An Introduction to Oswald Spengler’s Life and Works for the Curious Passer-by and the Interested Student,” Institute for Oswald Spengler Studies, 2011, <https://sites.google.com/site/spenglerinstitute/Biography>. Oswald Spengler, The Decline of the West Vol. 1: Form and Actuality (New York: Alfred A. Knopf, 1926), p. 106. See “Prussianism and Socialism” in Oswald Spengler, Selected Essays (Chicago: Regnery, 1967). For a good overview of Moeller’s thought, see Lucian Tudor, “Arthur Moeller van den Bruck: The Man & His Thought,” Counter-Currents Publishing, 17 August 2012, <https://www.counter-currents.com/2012/08/arthur-moeller-van-den-bruck-the-man-and-his-thought/>. See Fritz Stern, The Politics of Cultural Despair (Berkeley: University of California Press, 1974), pp. 238-239, and Alain de Benoist, “Arthur Moeller van den Bruck,”Elementos: Revista de Metapolítica para una Civilización Europea No. 15 (11 June 2011), p. 30, 40-42. <http://issuu.com/sebastianjlorenz/docs/elementos_n__15>. Arthur Moeller van den Bruck as quoted in Benoist, “Arthur Moeller van den Bruck,” p. 41. See Fritz K. Ringer, The Decline of the German Mandarins: The German Academic Community, 1890–1933 (Hanover: University Press of New England, 1990), pp. 183 ff. ; John J. Haag, Othmar Spann and the Politics of “Totality”: Corporatism in Theory and Practice (Ph.D. Thesis, Rice University, 1969), pp. 24-26, 78, 111.; Alexander Jacob’s introduction and “Part I: The Intellectual Foundations of Politics” in Edgar Julius Jung,The Rule of the Inferiour, Vol. 1 (Lewiston, New York: Edwin Mellon Press, 1995). For a brief introduction to Freyer’s philosophy, see Lucian Tudor, “Hans Freyer: The Quest for Collective Meaning,” Counter-Currents Publishing, 22 February 2013, <https://www.counter-currents.com/2013/02/hans-freyer-the-quest-for-collective-meaning/>. See Jerry Z. Muller, The Other God That Failed: Hans Freyer and the Deradicalization of German Conservatism (Princeton: Princeton University Press, 1987), pp. 78-79, 120-121. See Julius Evola, The Path of Cinnabar (London: Integral Tradition Publishing, 2009), pp. 203-204. See H. T. Hansen, “Julius Evola’s Political Endeavors,” in Julius Evola, Men Among the Ruins: Postwar Reflections of a Radical Traditionalist (Rochester: Inner Traditions, 2002), pp. 15-17. Evola, Path of Cinnabar, p. 204. Robert Steuckers, “Evola & Spengler,” Counter-Currents Publishing, 20 September 2010, <https://www.counter-currents.com/2010/09/evola-spengler/> . In a description that applies as much to the New Right as to the Eurasianists, Alexander Dugin wrote of a vision in which “the formal opposition between tradition and modernity is removed . . . the realities superseded by the period of Enlightenment obtain a legitimate place – these are religion, ethnos, empire, cult, legend, etc. In the same time, a technological breakthrough, economical development, social fairness, labour liberation, etc. are taken from the Modern” (See Alexander Dugin, “Multipolarism as an Open Project,” Journal of Eurasian Affairs Vol. 1, No. 1 (September 2013), pp. 12-13). Alain de Benoist, “Oswald Spengler,” Elementos: Revista de Metapolítica para una Civilización Europea No. 10 (15 April 2011), p. 13.<http://issuu.com/sebastianjlorenz/docs/elementos_n__10>. Pierre Krebs, Fighting for the Essence (London: Arktos, 2012), p. 34. Sebastian J. Lorenz, “El Decadentismo Occidental, desde la Konservative Revolution a la Nouvelle Droite,” Elementos No. 10, p. 5. Published: November 14, 2014 | This entry was posted in North American New Right and tagged Alain de Benoist, Arthur Moeller van den Bruck, articles, conservative revolution, cyclical history, European New Right, Hans Freyer, Julius Evola, Lucian Tudor, North American New Right, optimism, Oswald Spengler, pessimism, philosophy of culture, philosophy of history, Pierre Krebs, reprints, Traditionalism. Both comments and trackbacks are currently closed.